Elizabeth Hawley was working at the desk for Fortune magazine as a reporter when she first came to Nepal in 1959 as part of a world tour. One can only imagine what Kathmandu was like then: an emerald bowl in the lap of the Himalaya. Clean rivers, few cars, and dazzling clouds soaring into a deep blue sky. Liz came, she saw and she stayed. But on Friday morning at 2 AM, at the age of 95, this legendary chronicler of Himalayan climbing left us for good. Liz was the Nepal correspondent for Reuters at a time when most of the news with a Kathmandu dateline was about mountaineering, and she was a walking Wikipedia of climbing trivia. Who first climbed Dhaulagiri from the northeast ridge in spring? How far did the Polish-British expedition reach on its alpine style ascent of the west face of Makalu in 1980? Did the Koreans really reach the summit of Kangchenjunga? When in doubt, you went to Liz. We used to say half-seriously that a mountaineer hasn’t officially summited a Himalayan peak until Liz Hawley said so. Many climbers were grilled by Liz in Kathmandu hotel lobbies after returning from the summit. She asked them detailed questions about duration, weather, fellow mountaineers on the peak, and demanded summit photographs – many said they found the interviews more daunting than the climb itself. In the same house in the Bhandari Compound in Dilli Bazar where she lived for the past half-century are her files which keep the record of climbing. Liz Hawley’s mountaineering archives have now been digitised and is in the public domain at the Himalayan Database website. It will now be updated after every climbing season by volunteers like German climber Billi Bierling who are continuing with her work. Also in her study in Dilli Bazar were files with clippings of Reuters and Time-Life stories as well as detailed briefs she wrote for her boss at Tiger Tops, Jim Edwards, about political goings on in Kathmandu. The Himalayan historian Mikel Dunham was looking through her shelves one day and realised just how invaluable the files were as a blow-by-blow account of Nepal’s post-1960 history. With Lisa Choegyal, Dunham transcribed the The Hawley Files and brought it out in two hefty volumes of the book The Nepal Scene launched three years ago. The books are an invaluable reference tool, filled with facts, dates and fascinating descriptions of meetings with royal palace officials, ministers, visiting dignitaries and analysis in her distinctive wry tone of shenanigans in Nepal’s corridors of power. As a journalist, Liz reported objective facts, but between the lines in her notes one detects a deep commitment to honesty, press freedom and democracy. 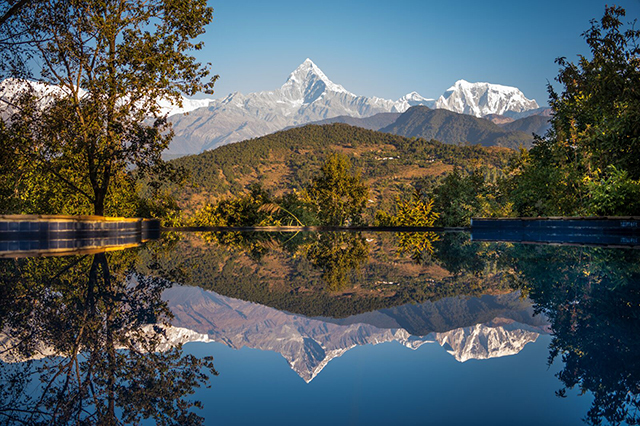 In 1982, Liz Hawley found herself in the front of the plane on a flight from Bangkok to Kathmandu with B P Koirala, who was returning after medical treatment. 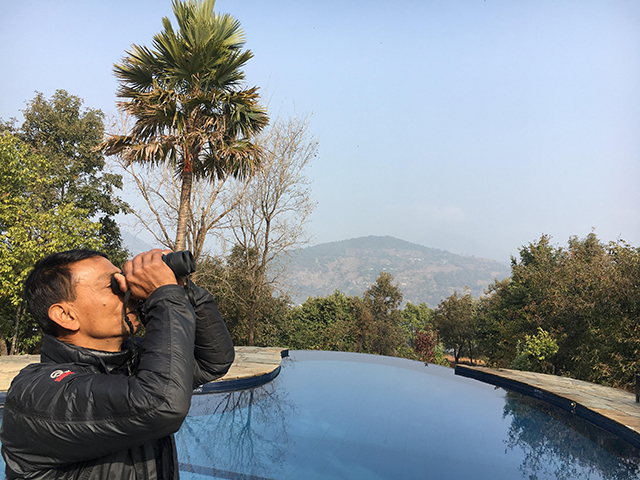 She recalled that meeting in an interview with Tsering Dolker Gurung of Nepali Times in 2013: “I spent the entire flight writing the story for Reuters and kept checking with BP and Girija to make sure I got all my facts correct, and later that evening, I got a call saying BP had died. It was a sad moment, because he was one of the few remarkable men that we have in Nepal and one political leader who stuck to his beliefs.” The story made it to the front page of The New York Times. Liz was known for her trademark blue Volkswagen Beetle that she drove around herself to press conferences and interviews with mountaineers, until the traffic became too difficult. 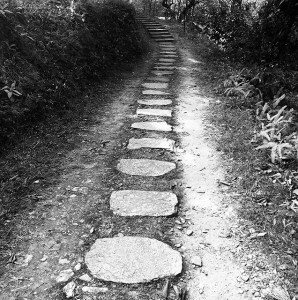 Liz Hawley was also the Chair of The Himalayan Trust, set up by Edmund Hillary after his first ascent of Mt Everest to help Nepal, and especially the Sherpa people. 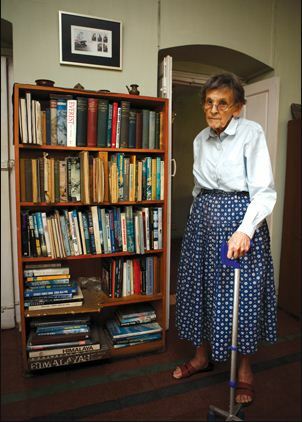 Liz Hawley was my first journalism guru, she was blunt and was unable to suffer sloppiness. That made her a demanding, yet effective, mentor. I used to stand in for her when she went on extended summer leave in the early 1980s, and that gave me my first exposure to the international press with stories on Nepali politics for Reuters and Time—even getting into trouble with the Panchayat authorities for some of them. Liz was impatient with people, and told them off if she found them lazy, slow or careless. She never really bothered to learn Nepali in all her years here, although she understood some of it. And for someone who took such detailed notes of climbs, she never climbed herself and did not like trekking much. 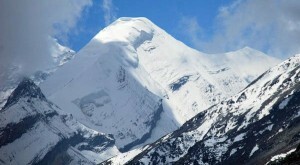 Nevertheless, Nepal government decided to honour Liz’s contributions to the country by naming a 6,182m mountain (above) near the China border Peak Hawley. For more on Liz Hawley’s life: read I’ll Call You in Kathmandu: The Elizabeth Hawley Story by Bernadette McDonald and a documentary of her life. The United Arab Emirates (UAE) is the world’s fifth largest exporter of oil, but its rulers have put it firmly on a path towards reducing its own carbon footprint with an aggressive push towards nuclear, wind and solar energy. On the outskirts of Abu Dhabi, a vast new city has sprung up that will rely almost solely on its 22 hectare solar array for energy, recycle 80% of its water, and have mostly electric mass transit. Masdar City already hosts the headquarters of the International Renewable Energy Agency (IRENA) as well as the regional headquarters for Siemens, and is being put forth as a model of modern urban living. Last week, the UAE held its annual Abu Dhabi Sustainability Week with a World Future Energy Summit and the UAE Energy Forum. By 2050, the Emirates aims to have one of the lowest domestic carbon footprints in the world, although that will not count its exports of fossil fuels. The country’s oil reserves will last another 93 years at present rates of extraction, unless it declares much of it unburnable to reduce global warming. 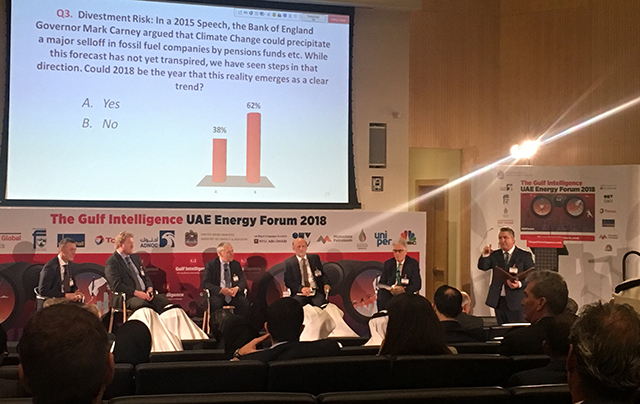 Given this strong focus on sustainability, it was perhaps not so surprising that he UAE Energy Forum held at the New York University Campus in Abu Dhabi last week had several panels discussing the impact of electric transportation on the oil industry. The conclusion: battery-powered cars do not yet represent a serious risk, but they will in the next three decades. Many of the speakers at the Forum were from industry-funded think tanks, bankers, oil company executives and government officials. Some of them saw the rapid popularity of electric vehicles as ‘threats’ or ‘risks’ to the future growth of the fossil fuel industry. ‘Climate action presents the fossil fuel industry with a new set of risks … reduced wealth and influence for fossil fuel exporting countries,’ wrote Jim Krane of Rice University in a Special Report for the quarterly Energy Outlook. As countries draw up decarbonisation strategies to comply with the 2015 Paris Agreement target to limit global average temperatures to 1.5 Celsius or less, experts here expected the coal industry to be hit hardest. Crude oil production will not be affected and liquid petroleum gas, shale oil and fracking will actually benefit. The world produces 96 billion barrels of oil per day, and 70% of that is used in transportation. Even if current surge in the sale of electric vehicles continues, projections show that oil demand will go down by only 2 billion barrels per year by 2023. The burning of coal, diesel and gas for electricity generation has in fact gone up. Despite pledges, the EU’s fossil energy use went down by only 0.2% last year, much lower than the minus 3% needed to meet Paris targets. Globally, carbon emissions, in fact, went up 2% in 2017 – mainly because of China’s growth. However, the oil industry appears spooked by the exponential drop in the prices of photovoltaic cells and storage batteries. The cost of storing energy in batteries had dropped to $209/kWh last year from $1,000/kWh in 2010 largely because of advances in lithium ion technology. The price of solar cells has dropped to $60/MWh compared to $320MWh in 2010. The cost of wind turbines has similarly fallen 70% in the last eight years. China has some of the world’s largest deposits of lithium, and is already the world’s biggest producer of photovoltaics. Almost all scooters in China area already battery-powered. Beijing is soon expected announce the date by which the country will go full electric in land transportation. China’s strategy is not to bother competing with other countries in internal combustion engine drive trains for transport, but leap directly into electric-powered vehicles. This was prompted partly due to public pressure to clean up its air pollution, but more importantly to turn green technology into greenbacks. The power density of batteries has doubled in recent years so that a $35,000 electric car from Volvo, GM, Nissan or Tesla already in the market have ranges of 350km. In the next two years, electric cars in the US will be 20% cheaper than petrol cars. There were only a total of 1.5 million electric vehicles in the world last year – only 0.2% of the total number of light vehicles. But the figure is expected to grow to 100 million by 2030. This may not translate immediately into a drop in fossil fuel demand if going electric is not synchronised with the decarbonisation of energy generation. Wind and solar power will continue to face the problem of intermittency. However, experts in Abu Dhabi predicted drop in renewable energy costs may hasten the post-electric era of hydrogen. At present producing hydrogen fuel from electrolysis is prohibitively expensive, and safety concerns about the gas have not been completely overcome. But if these issues are resolved, hydrogen could be produced relatively cheaply with solar and wind energy to fuel cars. These and other sentences from the opinion pages of newspapers are not from the Nepali press, but from last week’s South African media. They indicate identical political trajectories in the two countries, a similar frittering away of hard-won freedoms, and a familiar stench of democratic decay. President Jacob Zuma spent years in prison with Nelson Mandela on Robben Island, but is now neck-deep in allegations of nepotism and corruption. His son, Duduzame, has his hands in the honey pot, and #GuptaLeaks emails prove just how close the Indian Gupta brothers got to state capture. ‘Perhaps the greatest wound that Zuma has inflicted upon our republic is that he has buried decency and accountability under rubbish heaps of sleaze and corruption,’ concludes investigative journalist Jacques Pauw in his explosive new book, The President’s Keepers: Those Keeping Zuma in Power and Out of Prison. An international conference of investigative journalists in Johannesburg last week denounced the South African government’s attempt to censor Pauw’s book. An even sharper critic of Zuma is his former intelligence chief, Ronnie Kasrils, whose book A Simple Man: Kasrils and the Zuma Enigma portrays the president as a dangerous demagogue. “He is sly, cunning, deceitful and manipulative. Any opposition or criticism to his looting of the state, he eliminates, no matter the opposition,” Kasrils said at a recent book launch. All this sounds very familiar to recent exposes in the Nepali press pointing to outright plunder of state coffers by politicians, taking kickbacks on large projects, infiltration of parliament by vested interest groups, and the activities of the medical education mafia. As in South Africa, these crimes are being committed by former freedom fighters. The so-called Third Wave of democracy that swept the world 30 years ago saw the fall of the Iron Curtain, and beginning of the dismantling of apartheid in South Africa, and in Asia the demise of dictatorships. That global surge of freedom three decades ago that also brought changes to both South Africa and Nepal in 1990 has given way to disillusionment and cynicism. There are parallels in both countries of former revolutionaries who squandered the people’s sacrifices to go on to become as venal and ruthless as the rulers they replaced. Both failed to reap the democratic dividend, and continue to bleed their countries dry. Relatives of victims await truth, justice and closure in both countries as apartheid era crimes in South Africa and human rights violations in Nepal are brushed under the carpet. 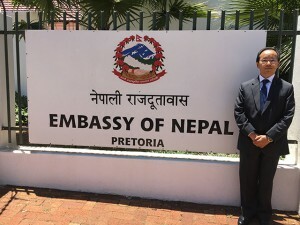 Ambassador Amrit Rai outside the Nepal embassy in Pretoria last week. Rai says Nepal and South Africa face similar challenges in making democracy work for the benefit of their peoples. Ambassador Amrit Bahadur Rai says Nepal and South Africa face similar challenges to make democracy deliver economic progress. Politicians flirt with tribalism and stoke ethnic tensions for political gain in both places. Just as here the white supremacist AfriForum tries to revive Afrikaan nationalism, in Nepal Hindu monarchists are trying to roll back history. The plan to turn Mandela’s residence in Alexandra township into a tourist attraction is just as neglected as the BP Museum in Sundarijal. “In South Africa today race divisions are transferring into class divisions,” explains journalist Ida Jooste, “but opposition to Zuma is now across the racial divide.” Her list of the state institutions co-opted by the President and his cronies sounds uncannily like Nepal: the prosecuting agencies, judiciary, anti-corruption bureau, state security and intelligence agencies. Watching the overthrow of Robert Mugabe in neighbouring Zimbabwe, analysts here warn that Zuma may suffer the same fate. And just like in Nepal, the media is one of the few institutions still relatively independent. A recent attempt by the establishment to turn the South Africa Broadcasting Corporation into a platform for government propaganda was resisted by eight courageous journalists called the ‘SABC8’. A ruinous ten-year war brutalised Nepalis and pushed the country back decades. When that conflict ended in 2006, there was great hope for a peace dividend, but the country was soon mired in an erratic eleven-year transition that frayed the country’s ethic fabric, made instability and poor governance the norm, and allowed unprecedented geopolitical meddling in our internal affairs. The end result of these 20 wasted years was that most Nepalis gave up on Nepal, and migrated by the millions. Nearly 15% of the country’s population (mostly men) is abroad today. The government has not been able to make even the most basic services affordable and accessible to those who remained behind. Remittances have not been invested in productive sectors to create jobs at home. Corruption has become so endemic that it is treated as a given. There is a criminalisation of politics and the politicisation of crime. After travelling that long, dark tunnel, we are finally seeing a light at the end with elections to National Parliament and Federal Assemblies. This week, 32 mountain and hill districts went to the polls, and the rest will vote on 7 December. That these are historic elections, there is no doubt. It marks the last stage of the peace process that started in 2006, and it will elect the peoples’ representatives to national and seven provincial legislatures – theoretically devolving political power away from Kathmandu to the periphery for the first time. Despite confusion about the division of jurisdictions and the chain of command between the three tiers of government, we will soon have a decentralised political structure that should ideally allow local people decide on local development. One of the reasons Nepal has been keep back is that the Kathmandu establishment thought it knew best what was good for people from Humla to Jhapa. In a democracy, elections are a mechanism to select the most honest and more efficient managers to run the country for a limited time period. If they do a good job, there is a chance they will get re-elected in the next round of voting. Regrettably, the whole electoral process has been subverted in the past 27 years by top men in a cartel of parties which has used polls just to reshuffle the cards. The first elections under the constitution gives us a chance to change that. 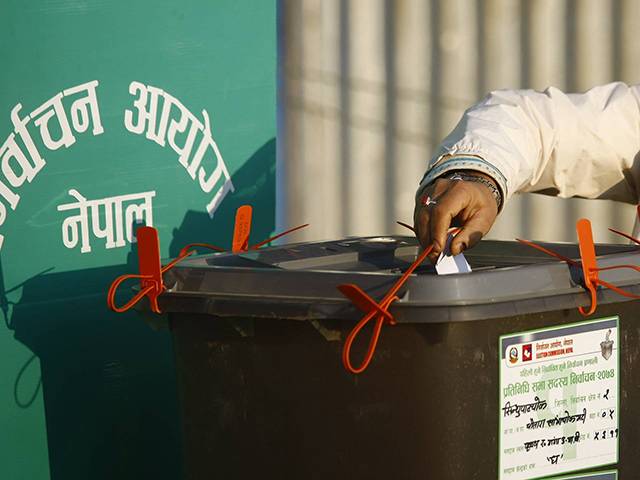 It will be a test of how independently Nepalis will vote. Will their disillusionment with the three-party syndicate and their failed leaders translate into votes for new faces? Are Nepali voters fed-up enough, outraged enough, and empowered enough to finally vote for ‘performance’ rather than ‘promises’. Or will vote bank politics, caste, ethnicity and party loyalty still determine who they vote for despite their disillusionment with the trad-pols (traditional politicians). 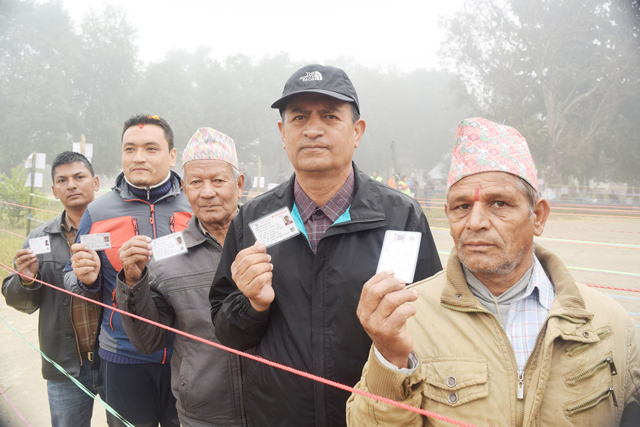 Voters not just in Nepal, but elsewhere as well, tend to cast their ballots in favour of those who are sure to win. They do not want to gamble as much on untested candidates. However, the results of the mayoral race in Kathmandu in May saw a 22-year-old student from Bibeksheel Nepali Party come out of nowhere to be placed third. If Bibeksheel and Sajha Party had joined forces, as they have done this time, we may have had a mayor in Kathmandu from an alternative party by now. 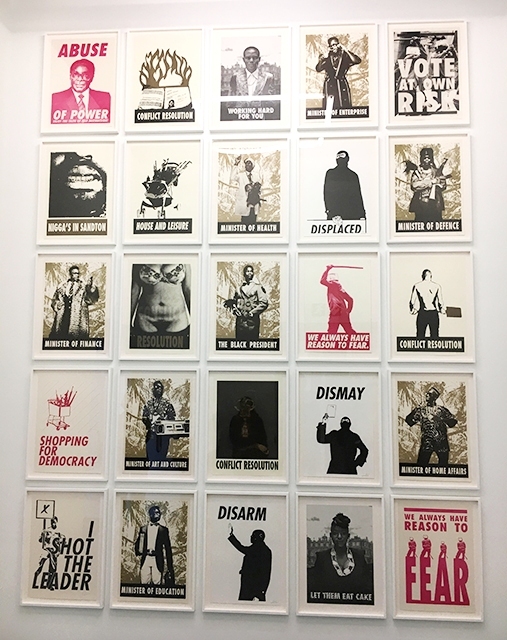 The question for us this week is whether popular discontent has reached that critical mass for voters to reject candidates from established parties. Not everything will change with the first election under the new constitution. We may have to wait for two or three more for performance to be the main criteria for voting. The new Parliament may also have to push through new laws on electoral reform – from funding, transparency, provisions for absentee voting, more effective voter education and streamlining ballot papers. Cost over-runs, profligacy, political interference, and even corruption at the Election Commission have become serious matters for the future. Whatever the outcome of the elections, it looks like Nepal is headed to becoming a two-party state with most parties coalescing around the centrist democratic alliance and the leftist alliance. In the past, whenever the NC and the UML have worked together, we have seen better governance and defence of the core values of democracy, rule of law and open society. But we have also seen periods since 1990 when the rivalry between these two parties paralysed government. After 20 years in the wilderness, Nepal now needs political stability to ensure investment, job creation, and more efficient governance. Since there is no real ideological difference between the two alliances any more, what we need for stable politics is a majority government with a strong opposition to keep it in check. At this moment, that is the best we can hope for. The 2015 earthquake shook up Ani Choying Drolma, quite literally. She was thrown about a room in her 12 storey high apartment in Bansbari, and it forced her to take stock of life so far. And what a life it has been. When Nepali Times profiled her in 2003 the nun was not yet the superstar nun that she is today. 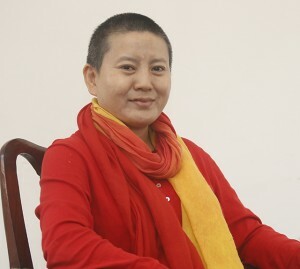 Her Buddhist mantras were just starting to become popular, she was beginning to build an international reputation, and she had not yet written her memoir Singing for Freedom that has now been translated into 14 languages. Nearly 15 years on, Nepal’s famous Singing Nun has fulfilled most of her ambitions. She is at the pinnacle of her musical career performing all over the world to raise money for her school for nuns in Pharping, a kidney hospital and many other charities. She is a household name in Nepal, and passerby wave as she drives past at the wheel of her sleek silver SUV. “The earthquake woke me up: I realised I had too many possessions, too many attachments. I was travelling too much outside, I now want to journey inside and retreat into myself,” Ani Choying tells us in a candid interview this week before back-to-back concert trips to Beijing and California. A health scare was also a warning to Ani Choying to detoxify and yearn for inner peace. Yes, even nuns seem to need such introspection. The past decade-and-half has been a whirlwind of singing, writing, performing, and non-stop fund-raising. Yet, she does have a sense of fulfillment about what she has achieved, to bring spiritual wellbeing and tranquility to millions in Nepal and around the world with her songs. It was the soothing combination of her mellifluous voice, lyrics of poet Durga Lal Shrestha and music of Nhoo Bajracharya in her hit song ‘Phulko Ankha Ma’ that launched Ani Choying’s career. Sales of the album helped her complete the Arya Tara nunnery in Pharping. The song is famous not just in Nepal: it is being translated and sung in Hindi and German, and she has young fans singing it to her in Nepali in Vietnam, Thailand and Switzerland. “When I started, singing was just a hobby, I never imagined that my music would be all over the world,” says Ani Choying. During her concert tours, Nepal’s singing nun is approached by fans who tell her how her music has changed their lives. Like an American Muslim soldier who had served in Afghanistan and had such severe post-traumatic stress he could not sleep at night. One day while walking on a New York sidewalk, he heard the strains of a soothing music and followed the sound to a Nepali handicraft shop. It was the Karuna Mantra from Ani Choying’s album. He bought the CD, and told her on a recent visit that it has calmed him, and he is sleeping better. At a dinner hosted by the owner of WeChat in Shanghai recently, a woman told Ani Choying she played her Karuna Mantra during a difficult delivery and “half the pain went away”. After almost every concert, fans mob Ani Choying to tell her stories of how her music helps them cope with the stress of modern life: women tell her how the music has made it easier to deal with a messy divorce, and in Nepal she has heard there are countless stories of how much ‘Phulko Ankha’ has changed young peoples’ outlook towards life. Ever since her Coke Studio concert with A. R. Rahman, Ani Choying’s popularity in India grew, and fans recognise her at airports when she travels there. Now, Bollywood has taken notice and Ani Choying is organising the Songs of the Himalayas concert in Kathmandu on 19 November with stars like Shantanu Moitra, classical vocalist Kaushiki Chakraborty , flutist Ashwin Srinavasan and sitarist Purbayan Chatterjee. All are coming to Kathmandu pro bono to help Ani with her Arogya Hospital. As the Quit India movement grew, the British colonial authority in Delhi built an internment camp in the village of Deoli in the Rajasthan desert. One of the inmates in the many huts there in the 1930s was Jawaharlal Nehru. The British finally left India in 1947. Nehru became prime minister, and in the spirit of pan-Asian solidarity built strong rapport with Mao Zedong. ‘Hindi Chini Bhai Bhai’ was the rallying cry in those post-colonial times. This friendship did not last, and a dispute over sections of the 2,500km Himalayan border between the two countries (demarcated by Henry McMahon in 1913 never officially recognised by China) flared into open warfare in 1962. More than 2,000 Chinese traders and businessmen who had settled down during British times in Calcutta, Darjeeling and Northeastern India were rounded up, jailed and then transported in trains to Deoli where many spent up to five years. Yin Marsh was 13 then, and her family was assigned the shed in which 30 years previously the same Nehru, who ordered the internment of Indians of Chinese origin, had been detained by the British. 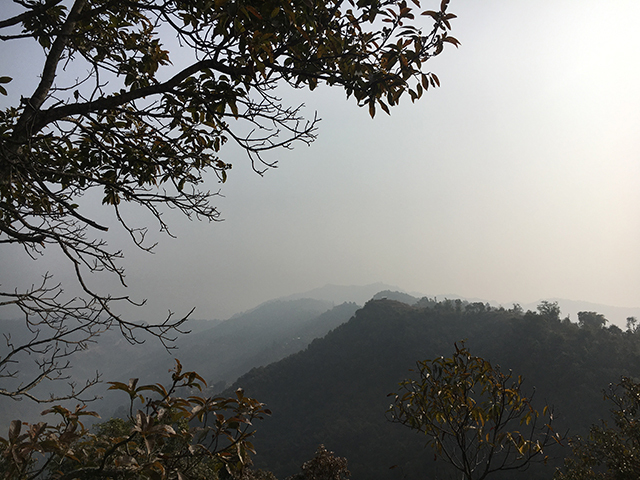 Marsh and her eight-year-old brother were released after a few months with the help of her mother who had moved to Kathmandu to set up a hotel, restaurant and beauty parlour. Among her customers were members of Nepal’s royal family, and the American Embassy helped bring them out of Deoli and fly them to Kathmandu. 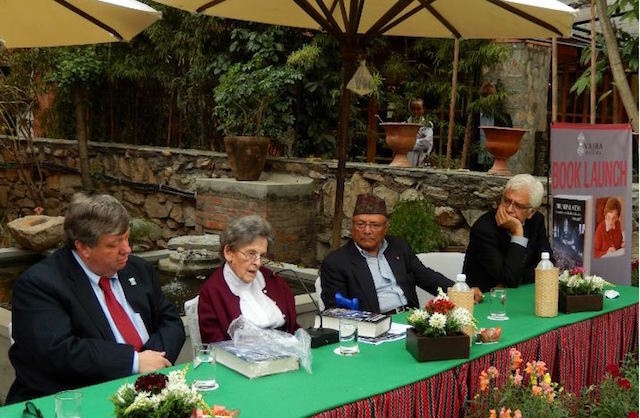 Marsh had decided to forget the injustice, pain and separation of her early life after marrying an American diplomat at the Kathmandu embassy and moving to the United States. But upon learning how little even her Indian Chinese compatriots knew about the internment camps, she decided to write Doing Time with Nehru. Like Dust: One Family’s Story of America’s Japanese Internment. But Yin Marsh paints a raw picture of the consequences to individual lives when the same racist ruthlessness leads insecure governments to arbitrarily treat an entire emigrant population as enemy when war breaks out. 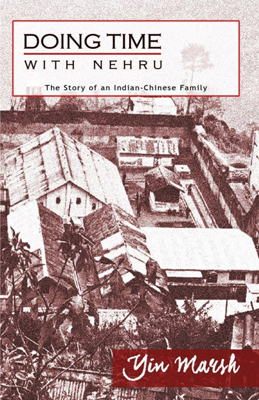 Like Yin Marsh’s family most Indian Chinese never got their property back, many went back to China after being released and others are scattered all over the world. Her book is another tragic reminder of how families are torn apart and lives ruined when they are trapped in wars waged by men.